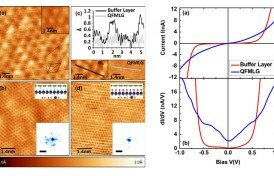 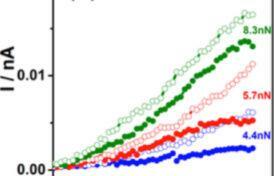 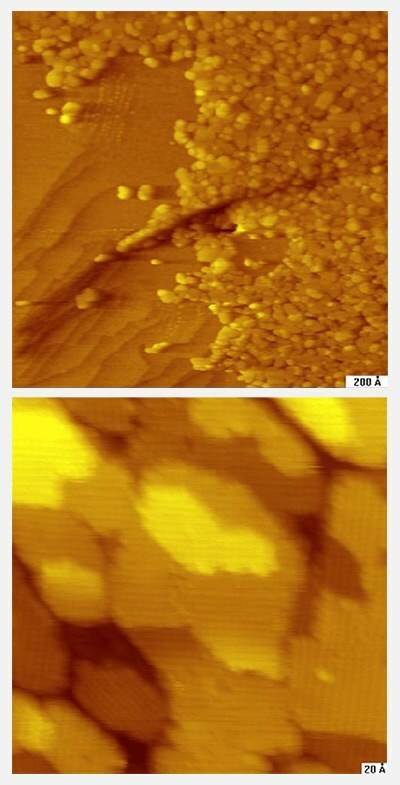 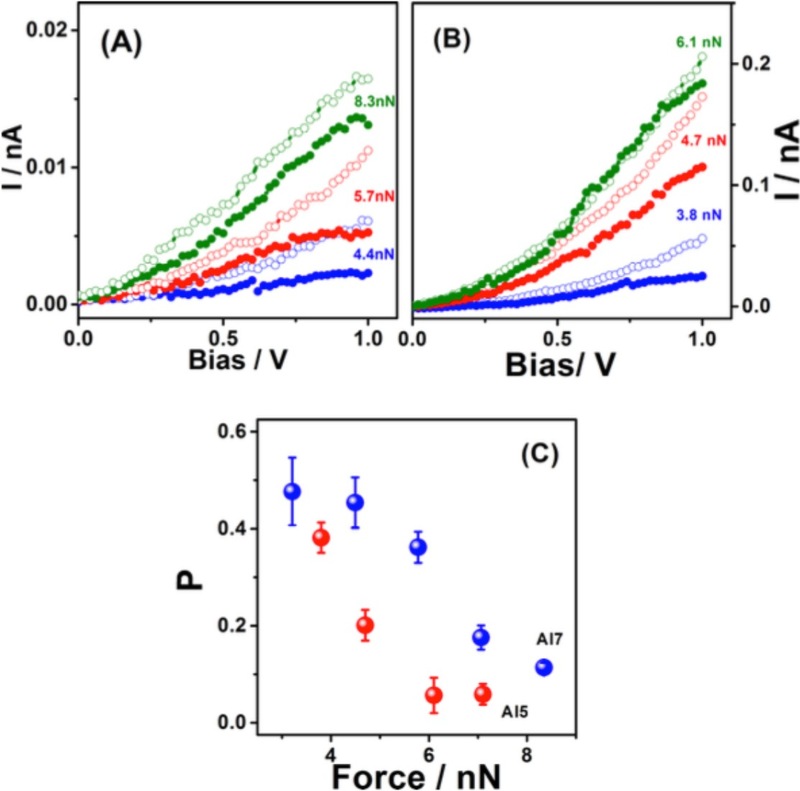 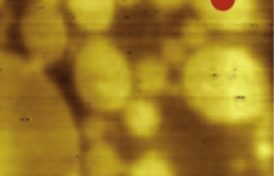 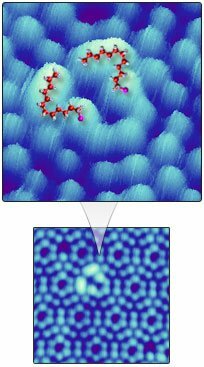 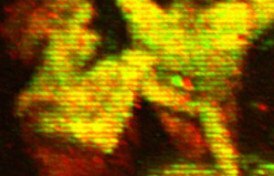 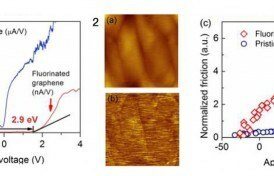 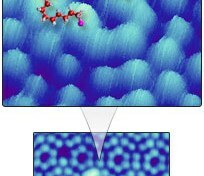 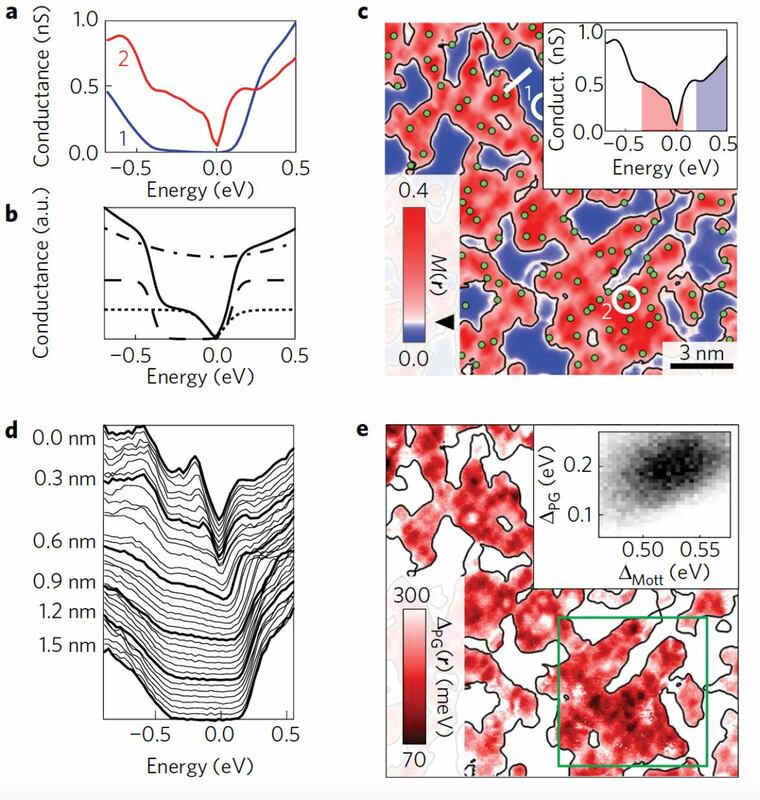 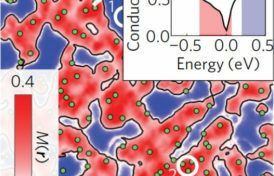 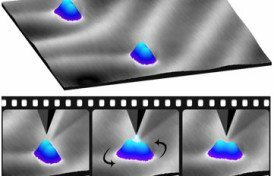 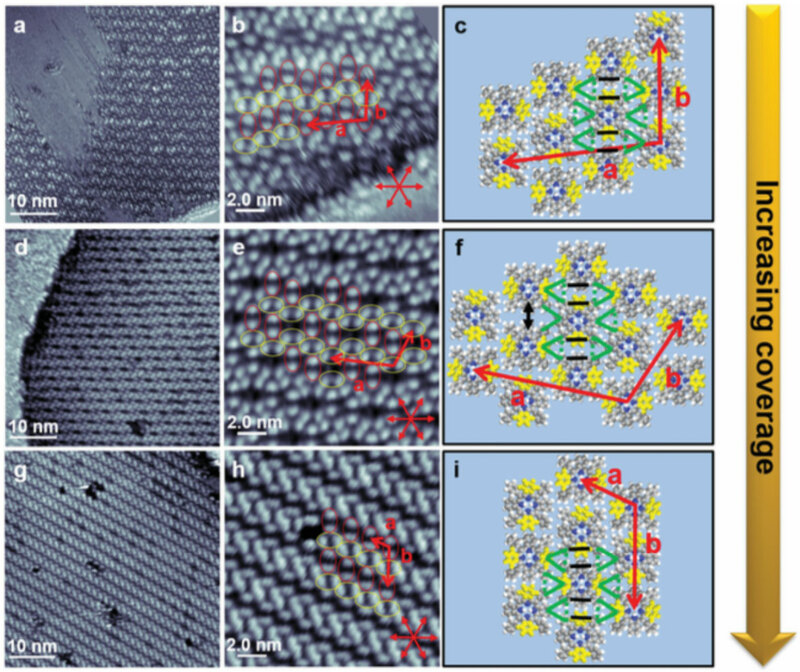 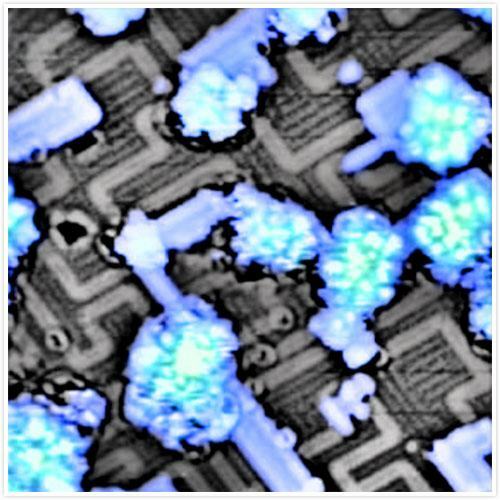 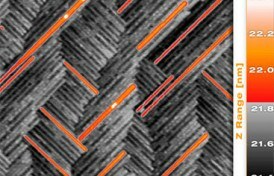 Polydiacetylene nanowires can be formed by polymerizing a well-ordered monolayer of diacetylene derivative molecules. 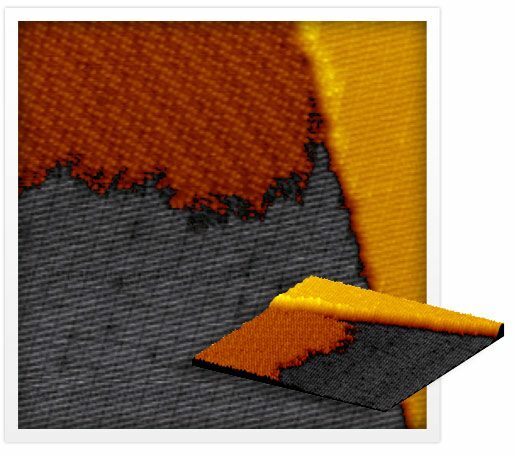 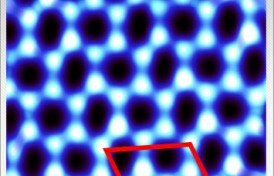 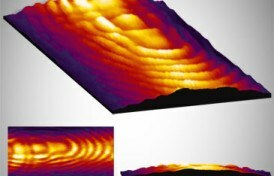 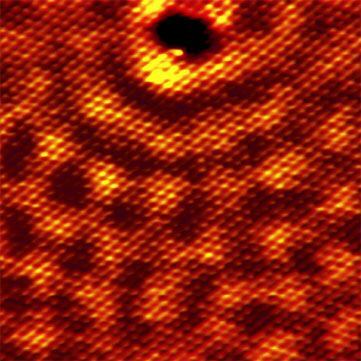 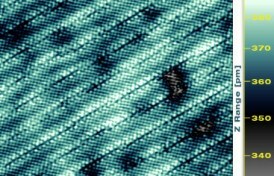 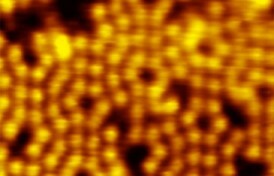 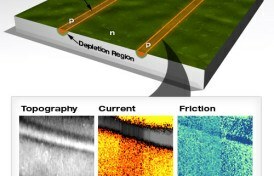 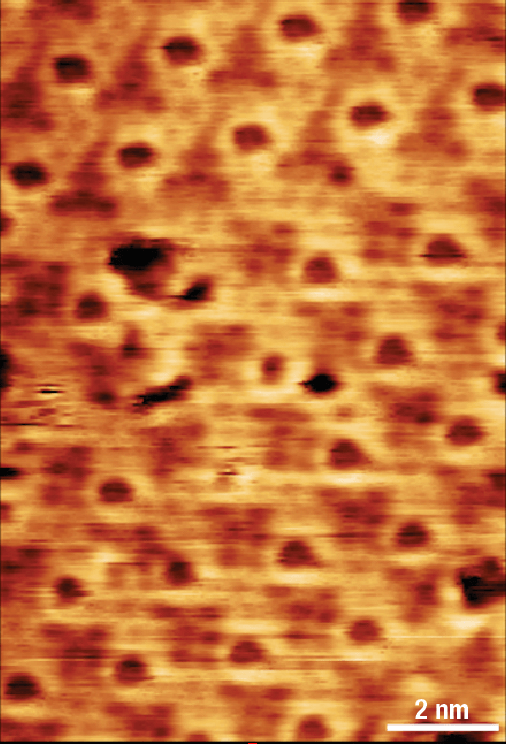 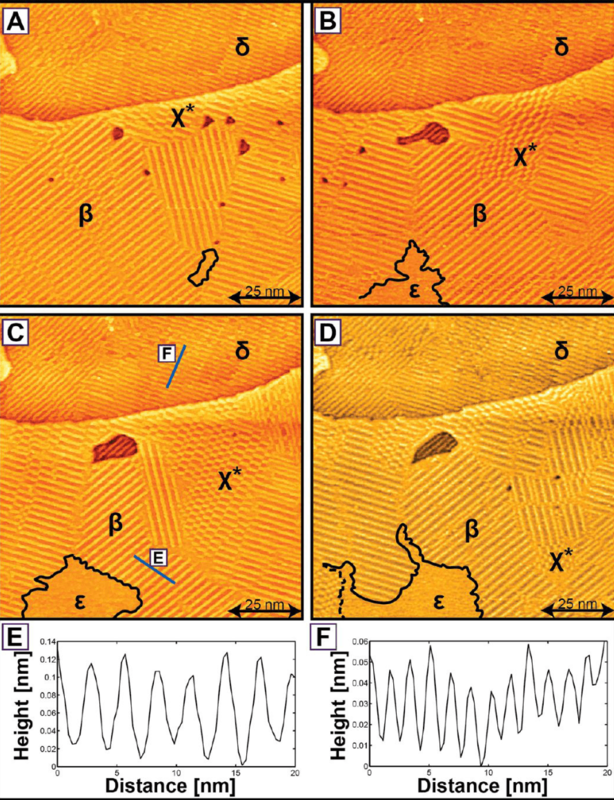 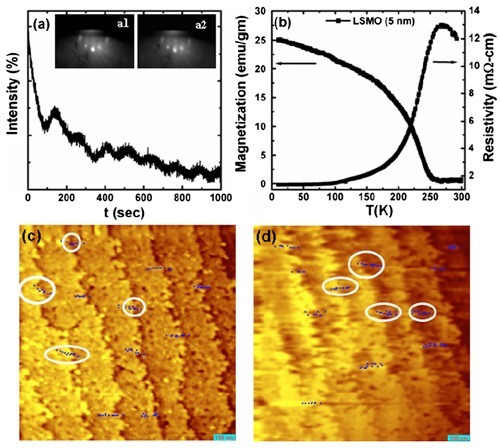 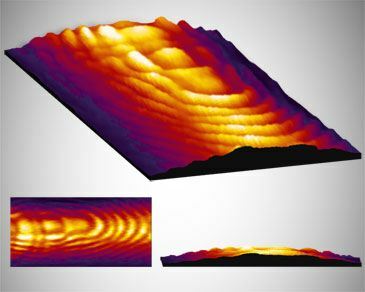 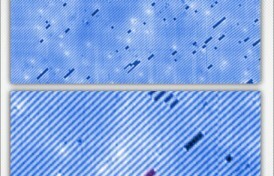 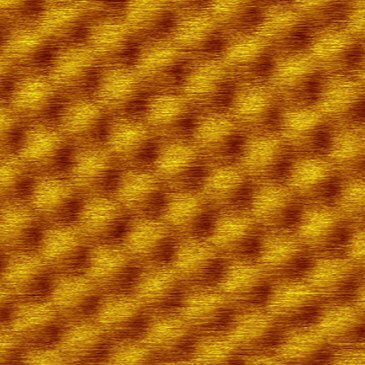 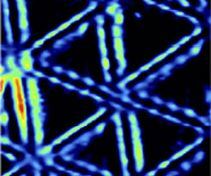 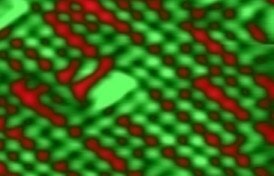 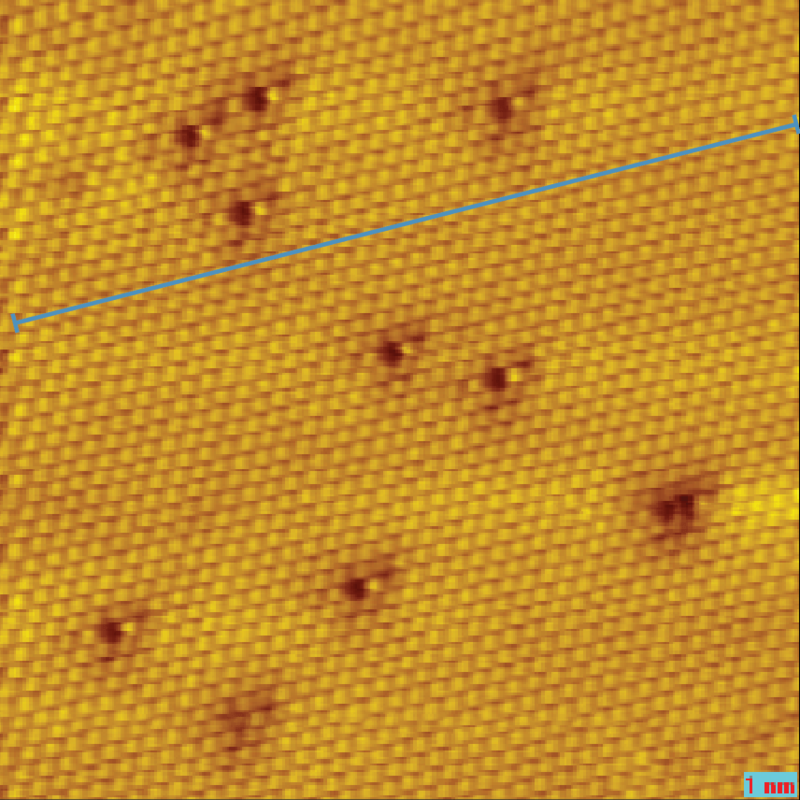 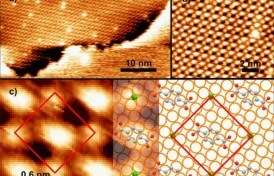 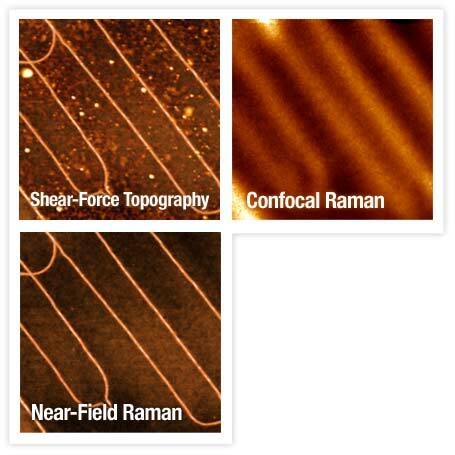 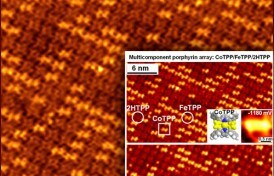 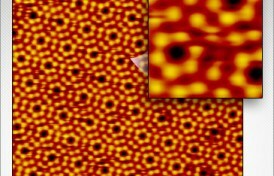 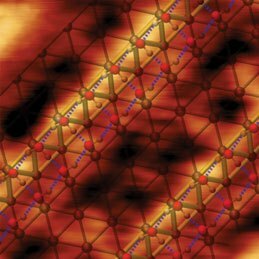 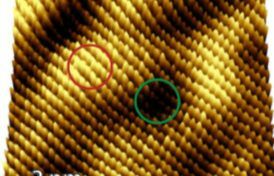 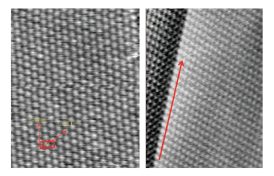 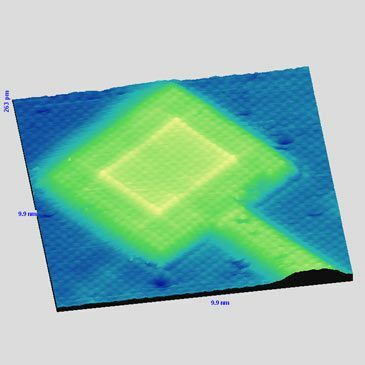 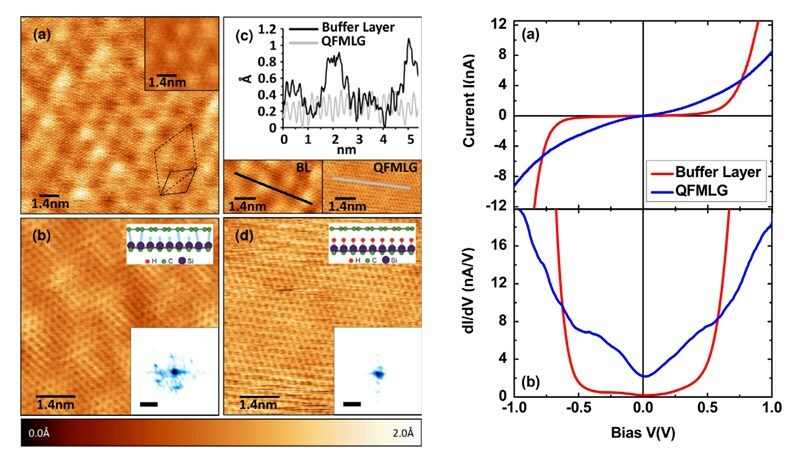 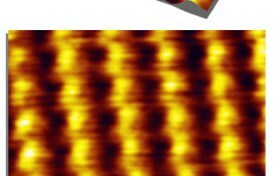 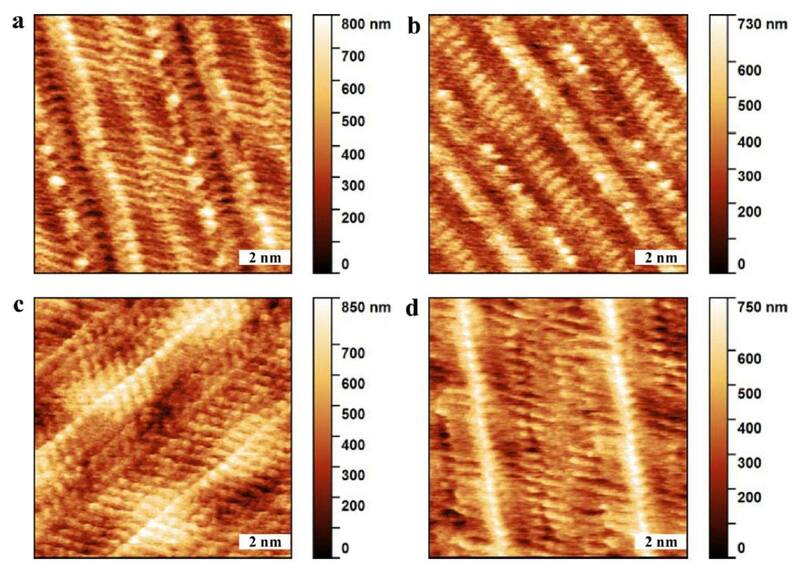 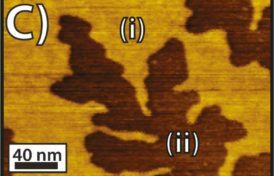 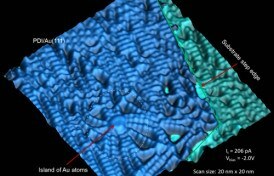 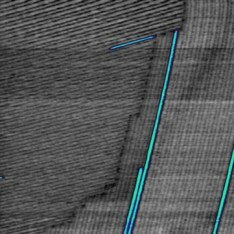 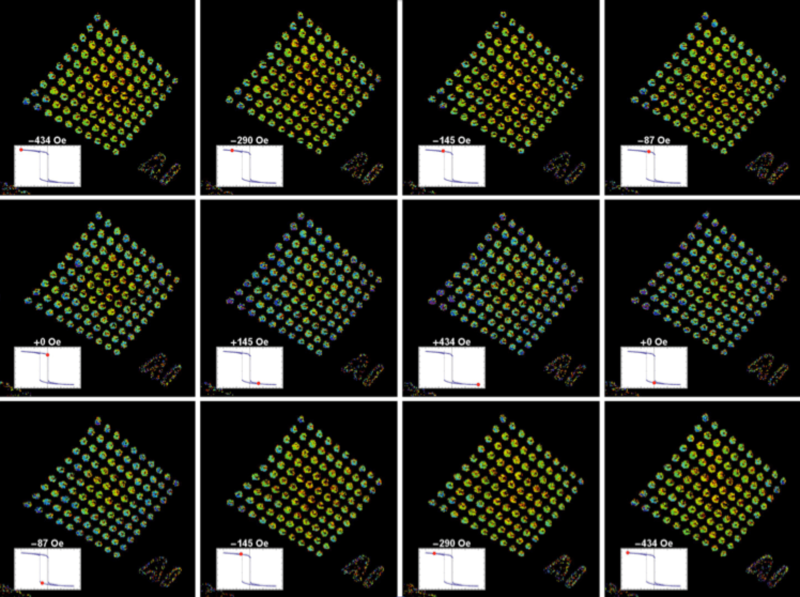 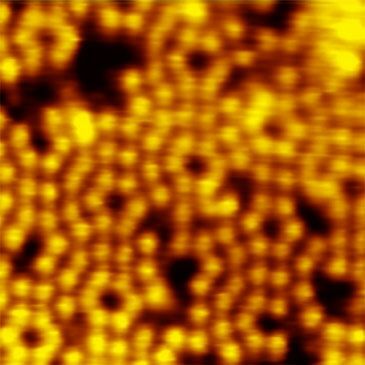 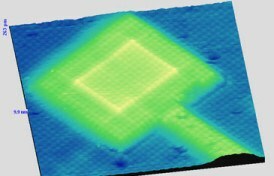 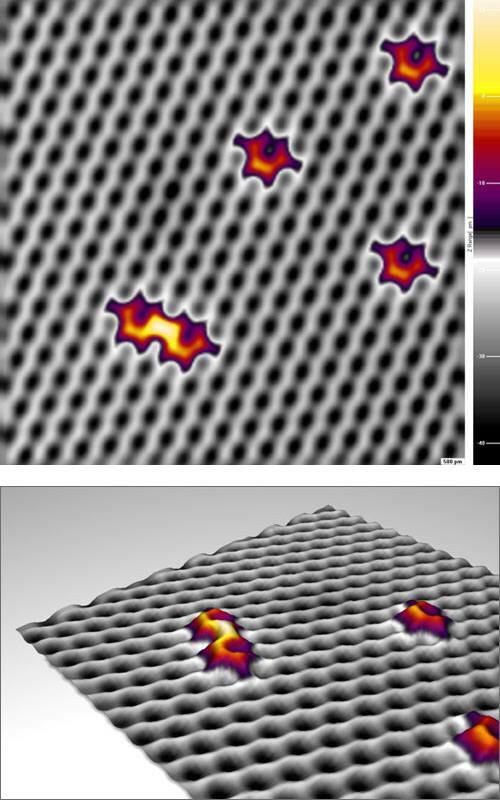 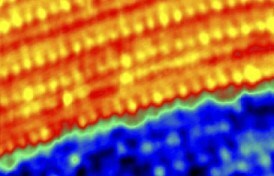 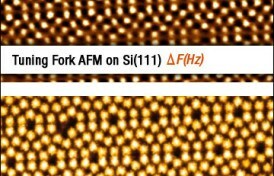 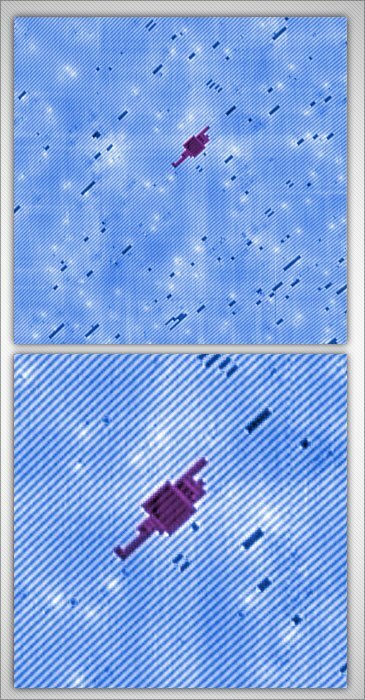 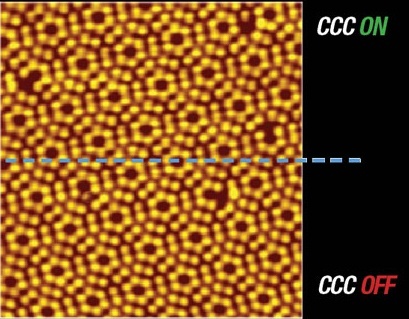 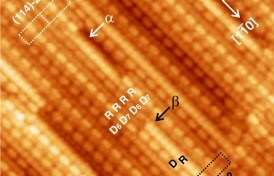 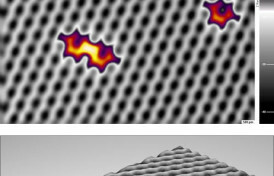 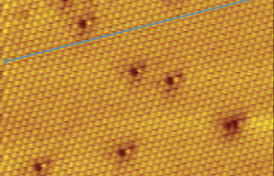 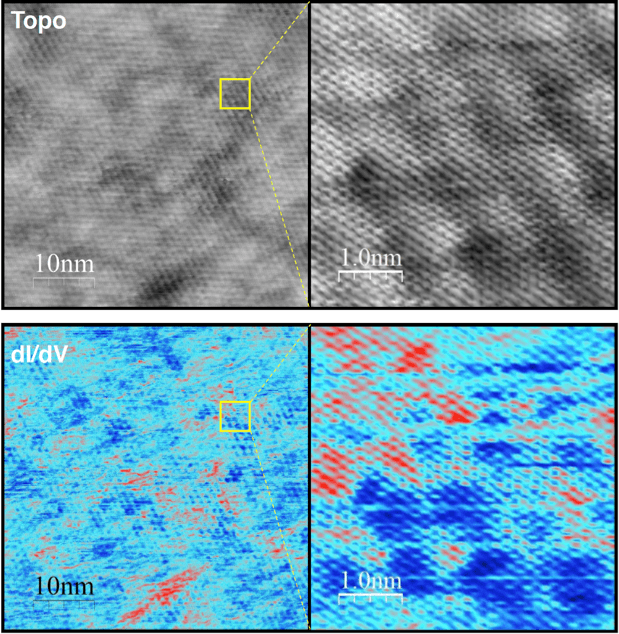 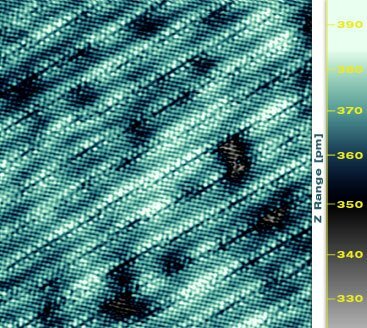 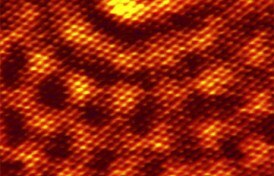 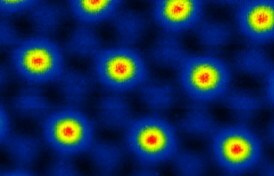 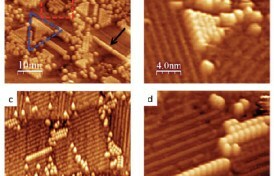 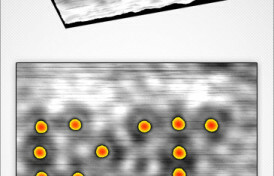 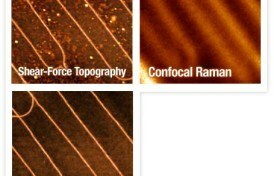 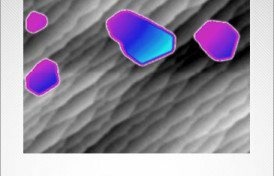 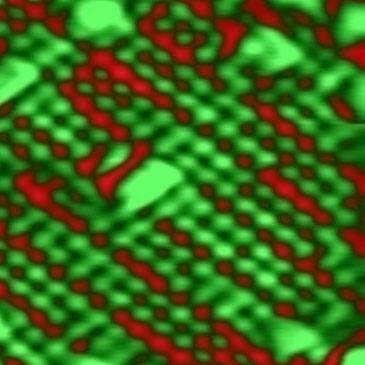 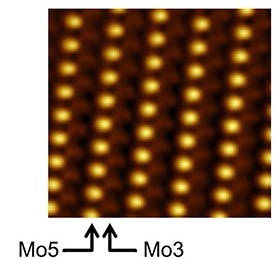 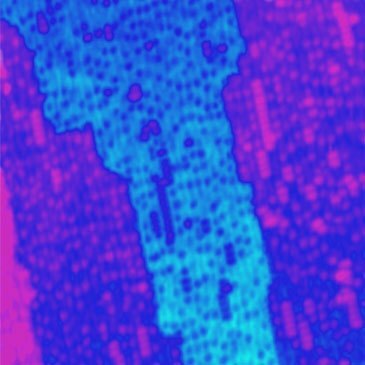 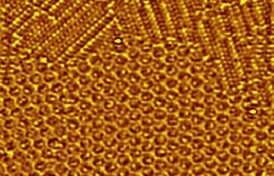 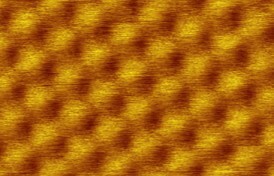 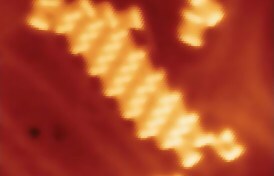 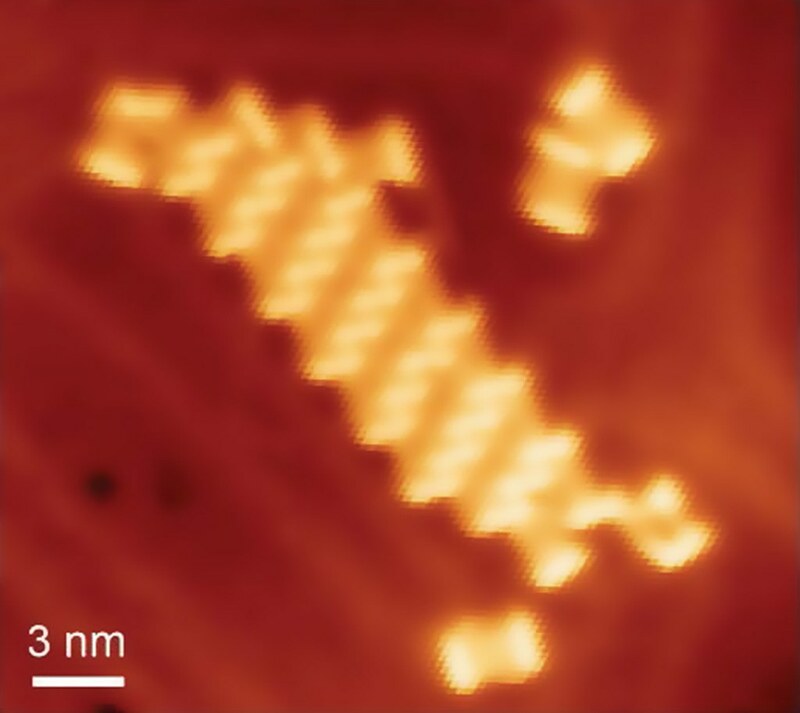 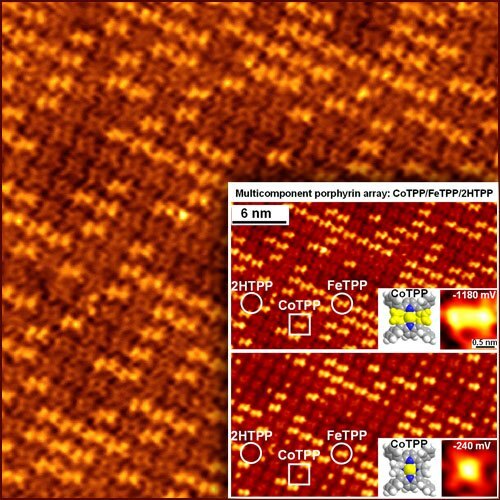 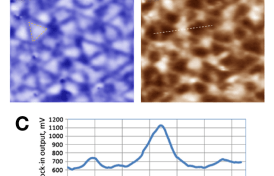 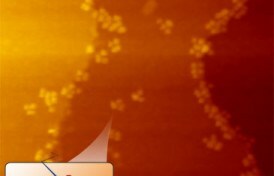 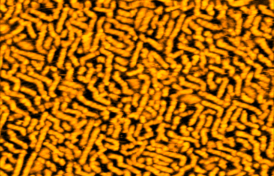 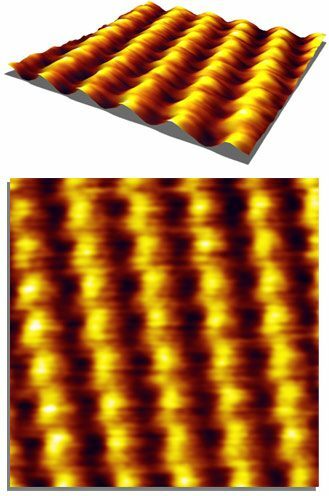 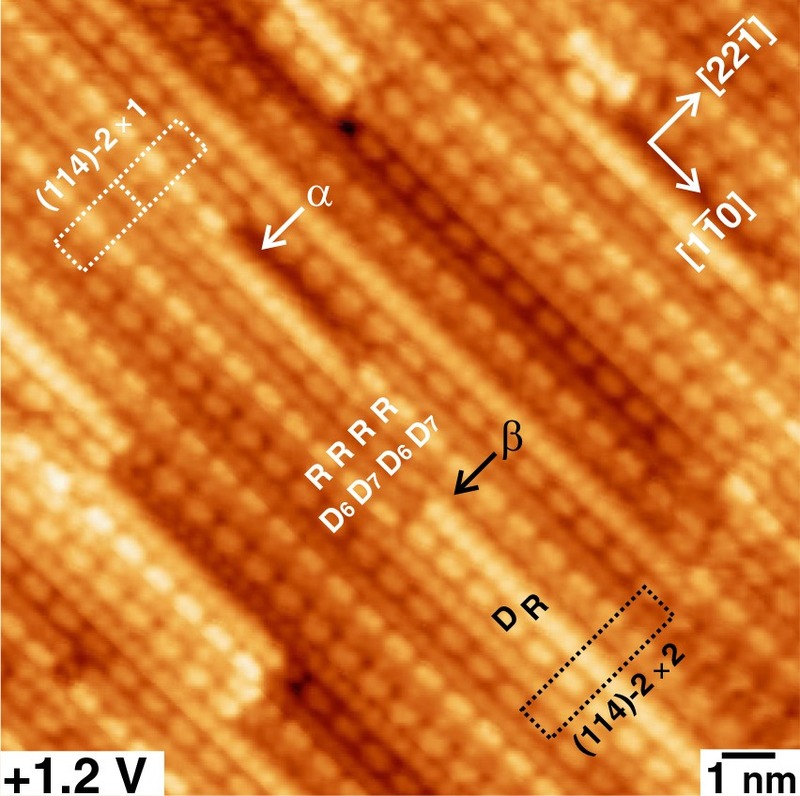 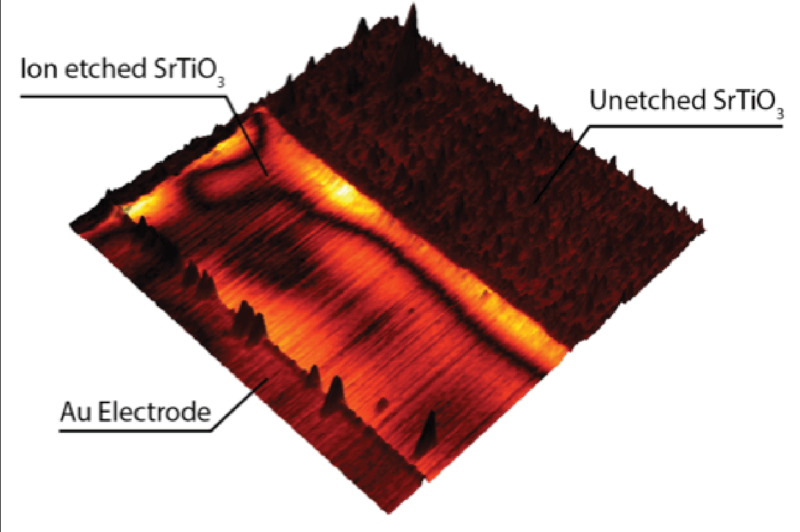 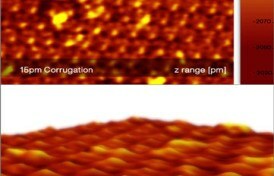 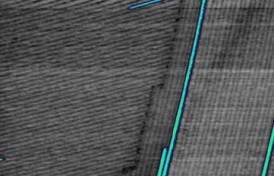 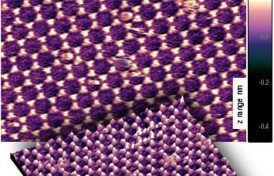 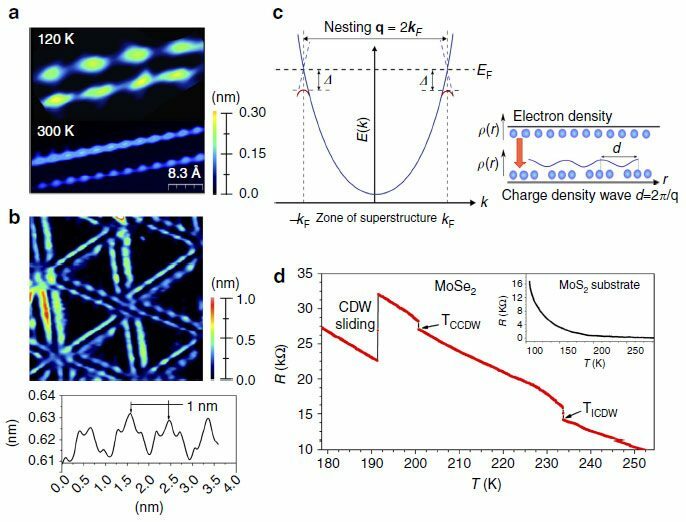 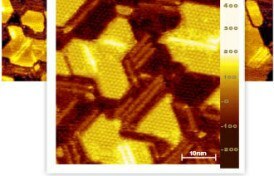 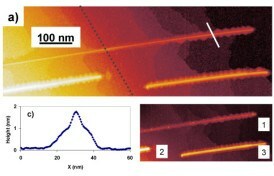 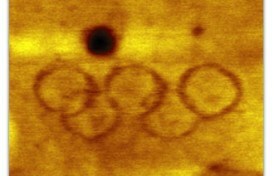 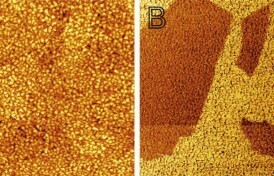 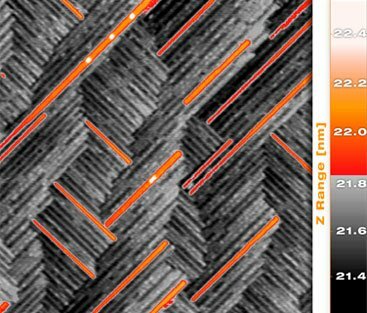 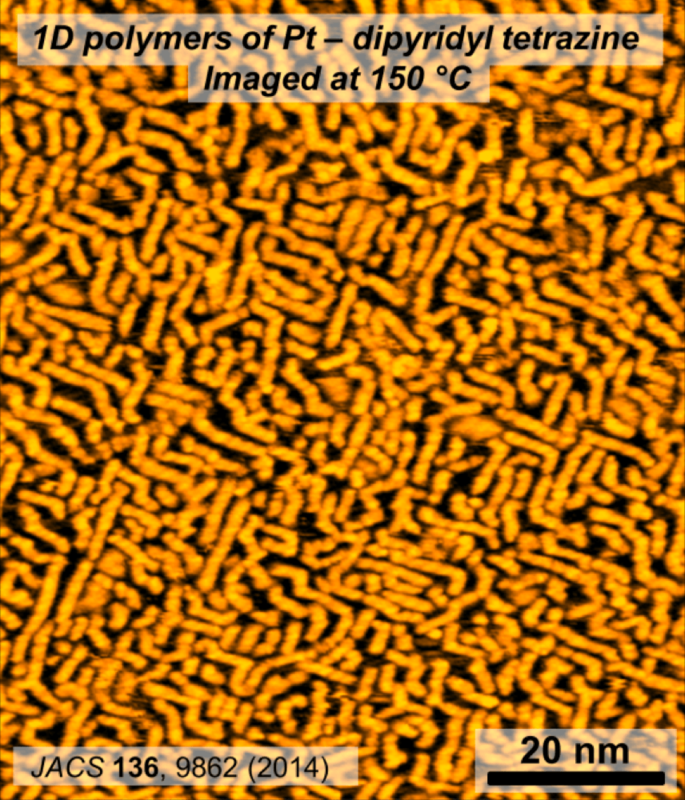 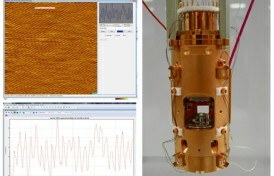 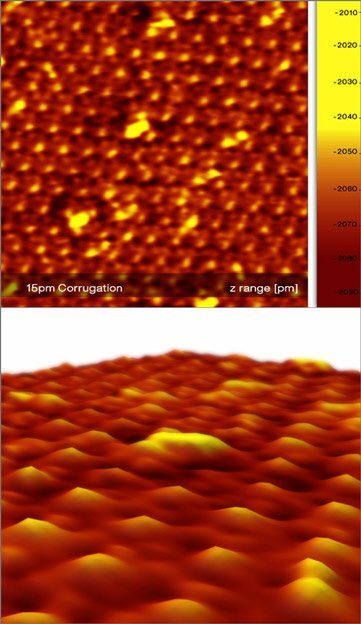 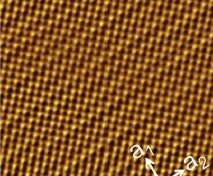 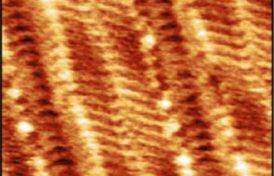 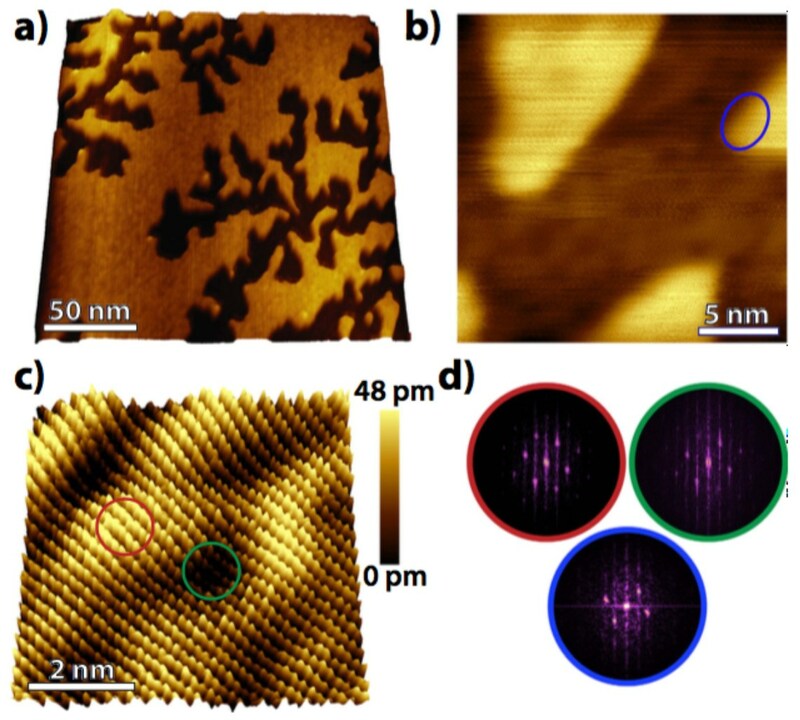 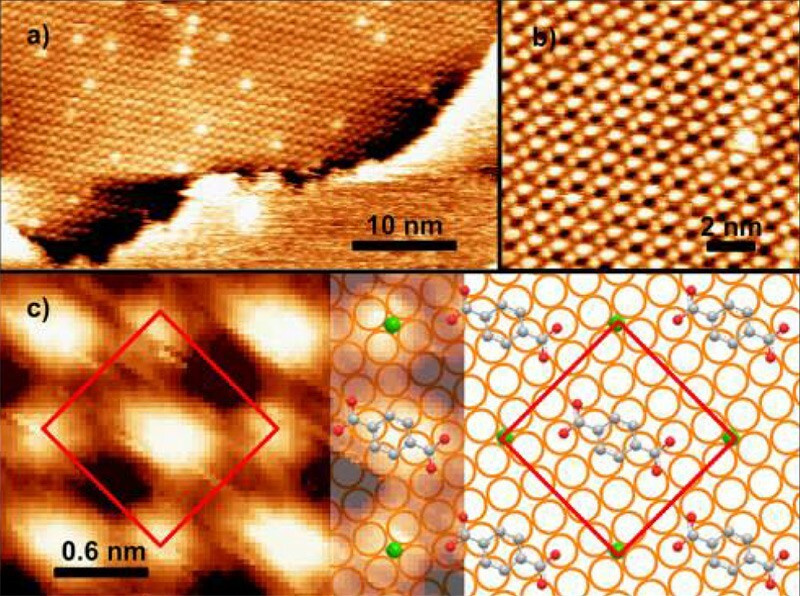 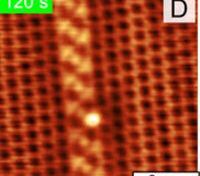 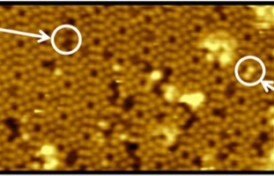 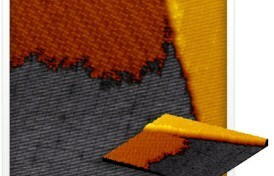 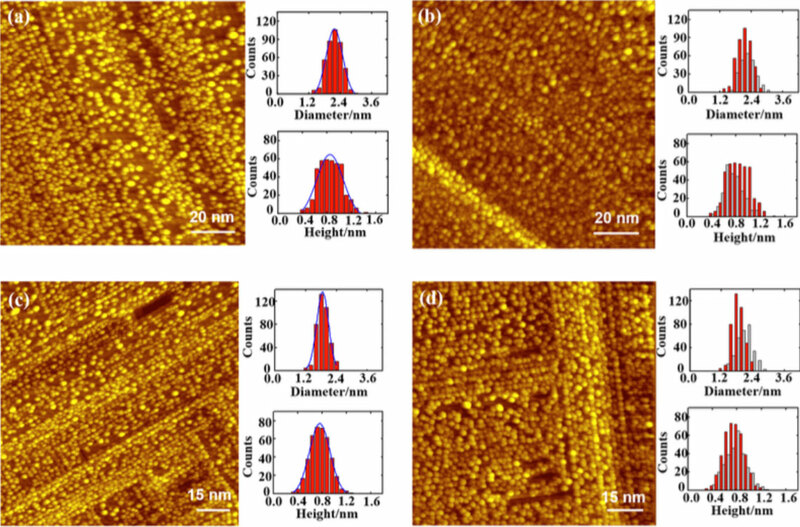 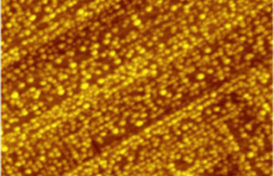 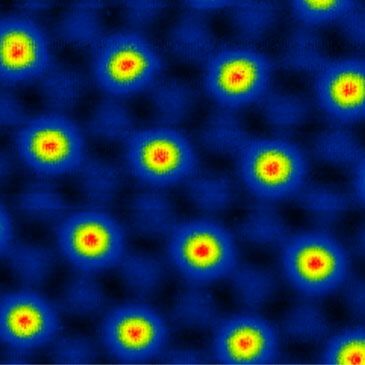 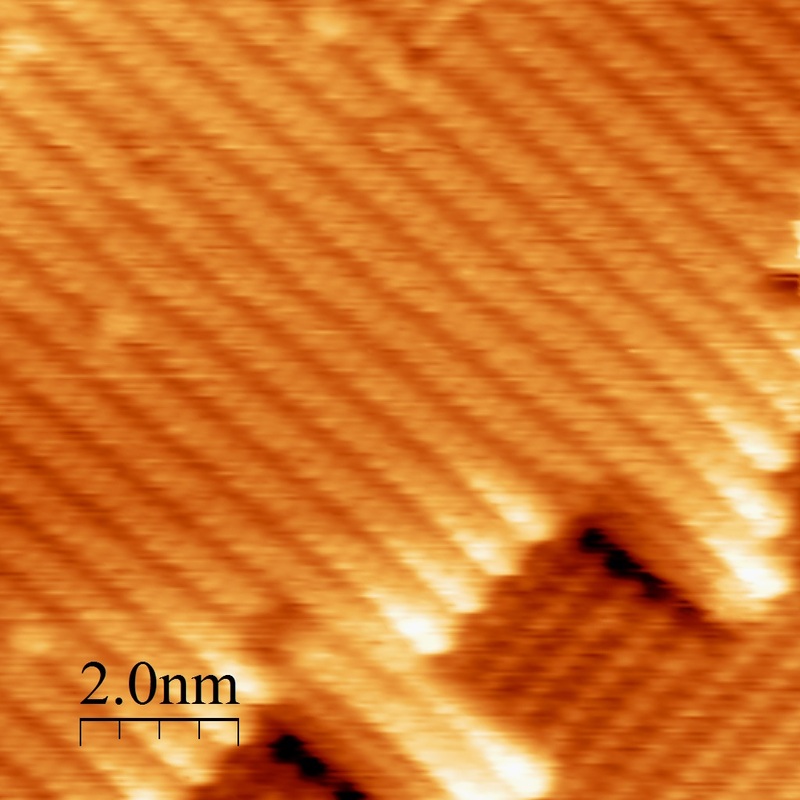 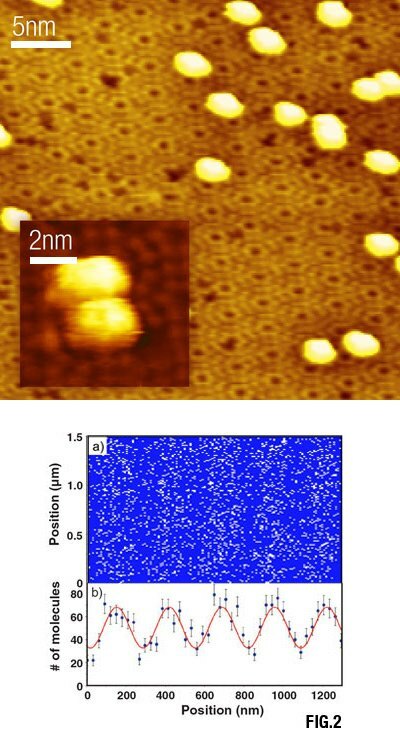 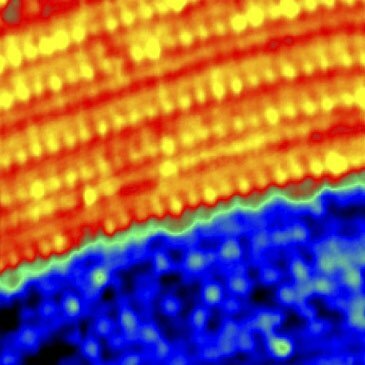 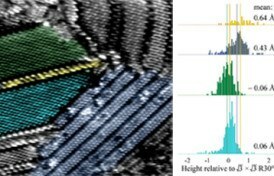 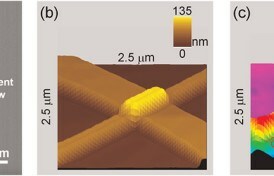 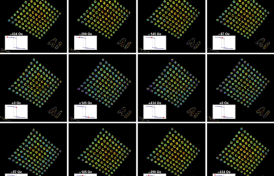 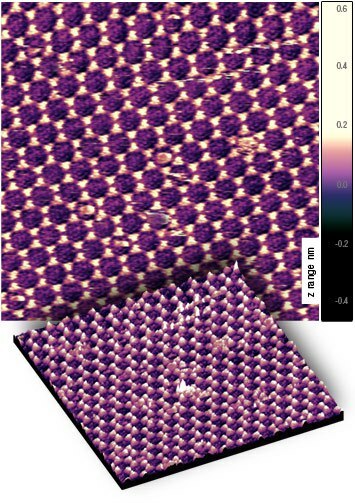 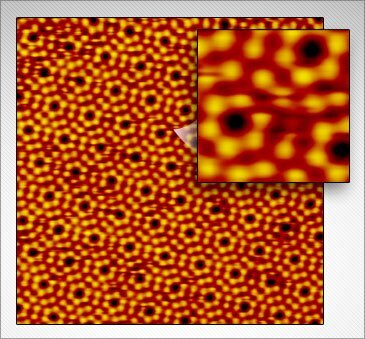 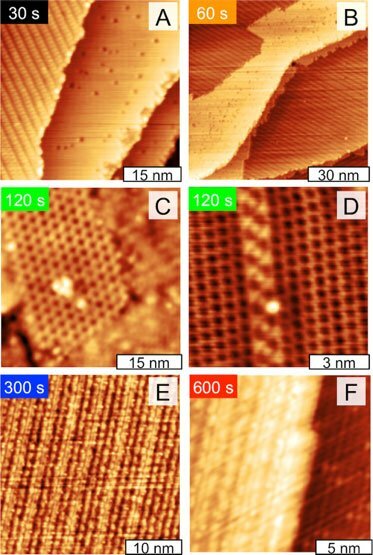 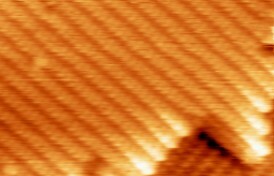 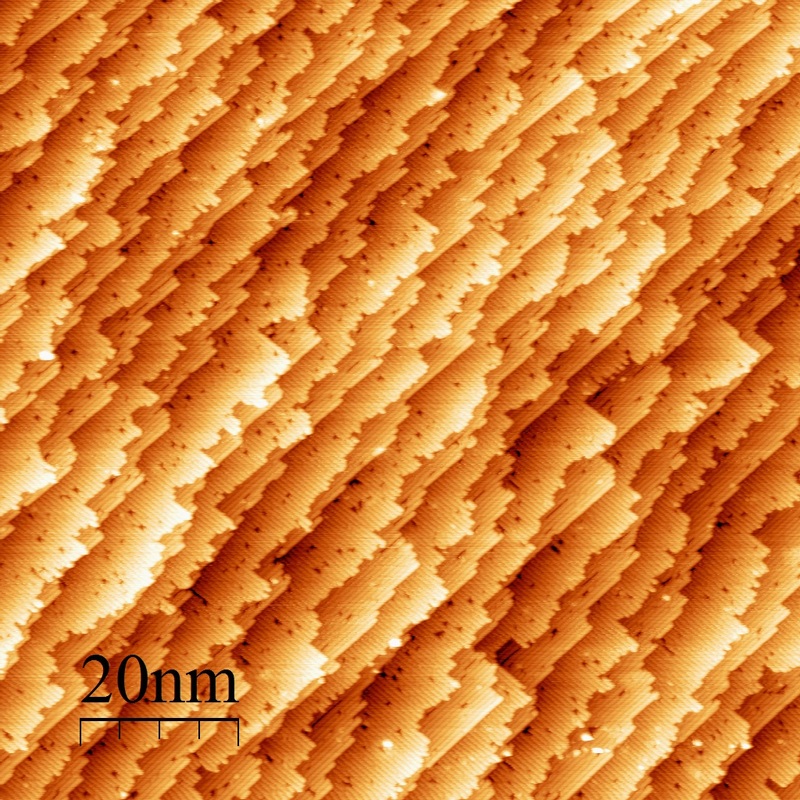 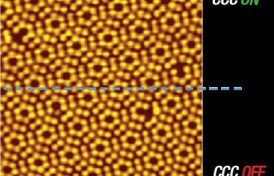 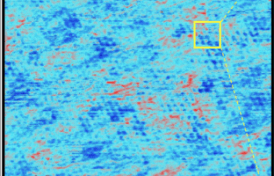 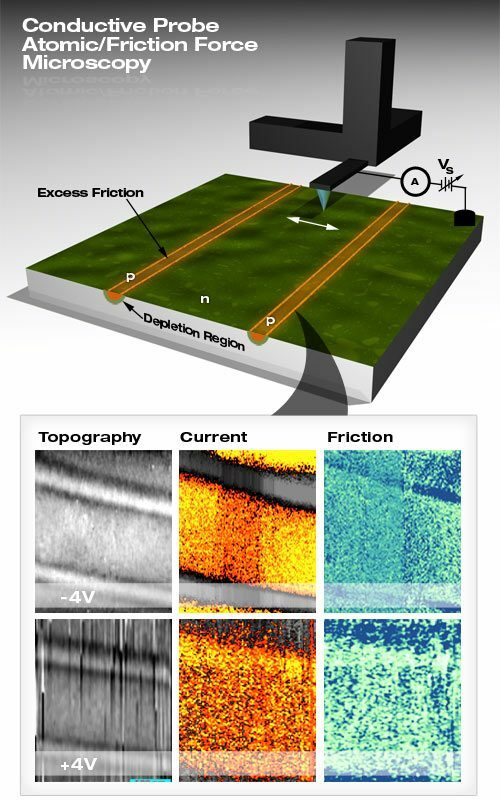 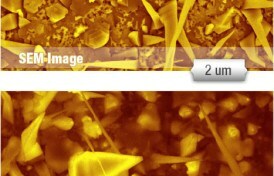 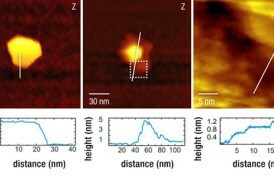 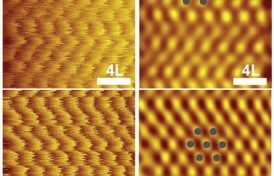 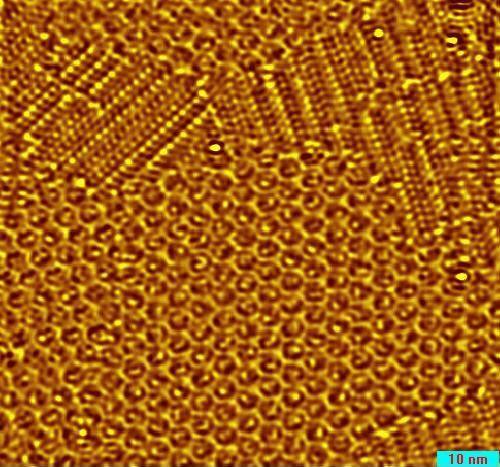 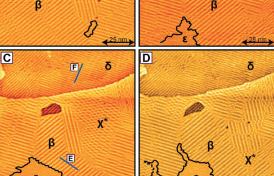 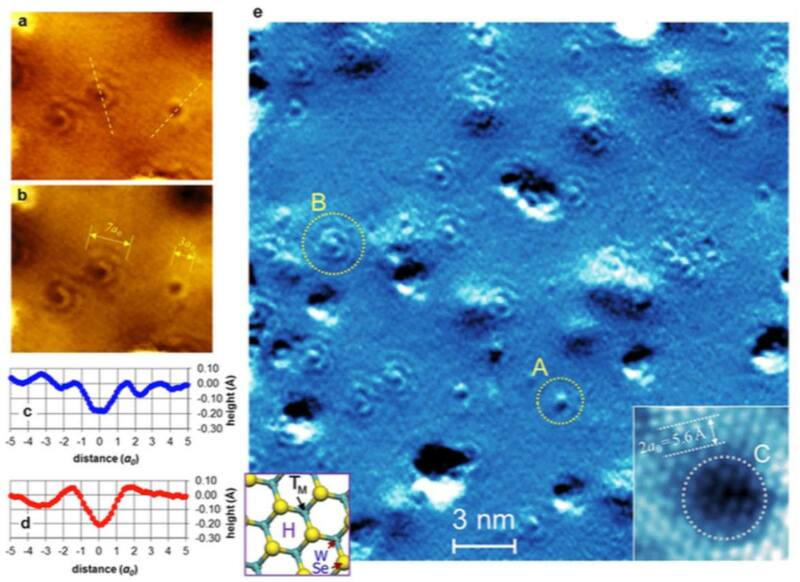 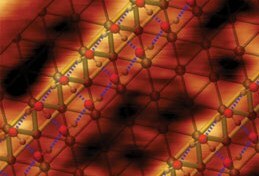 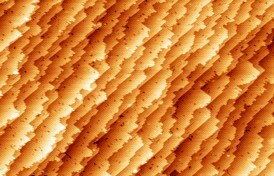 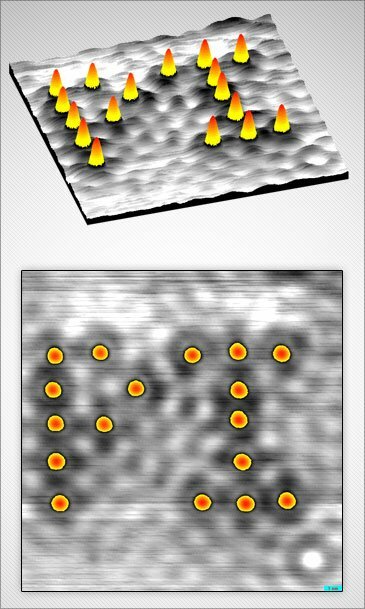 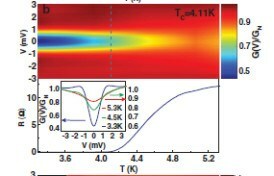 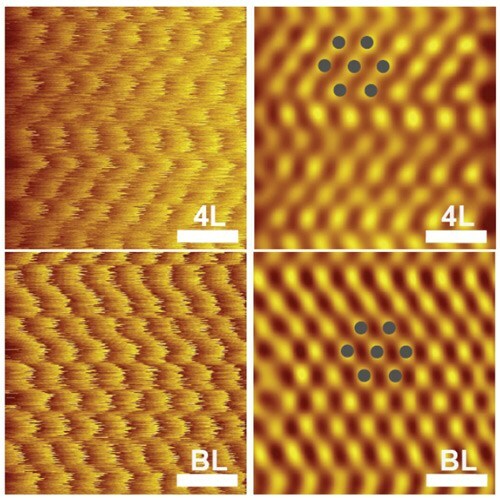 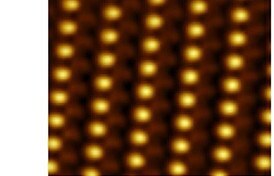 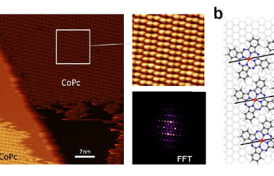 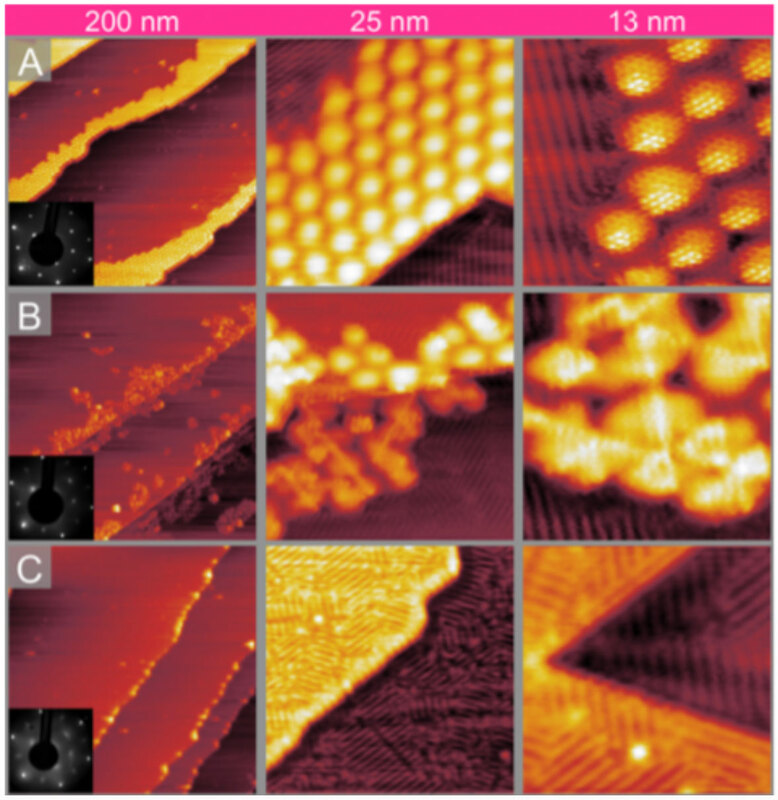 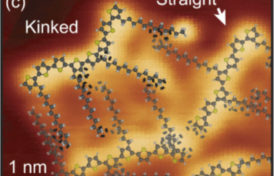 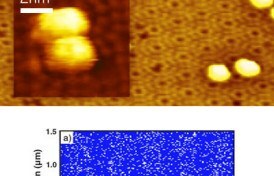 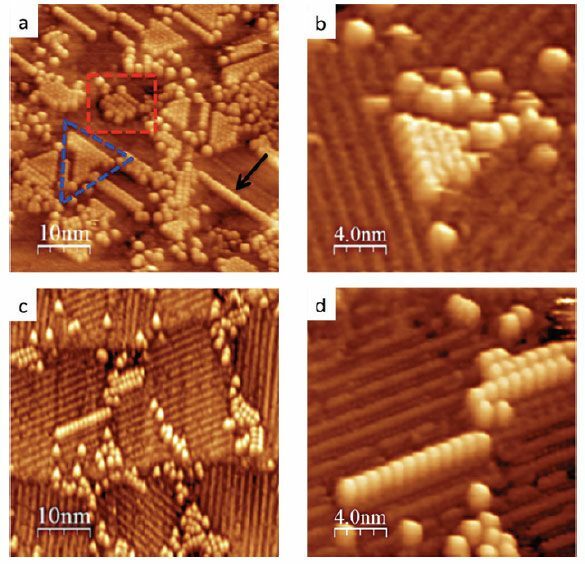 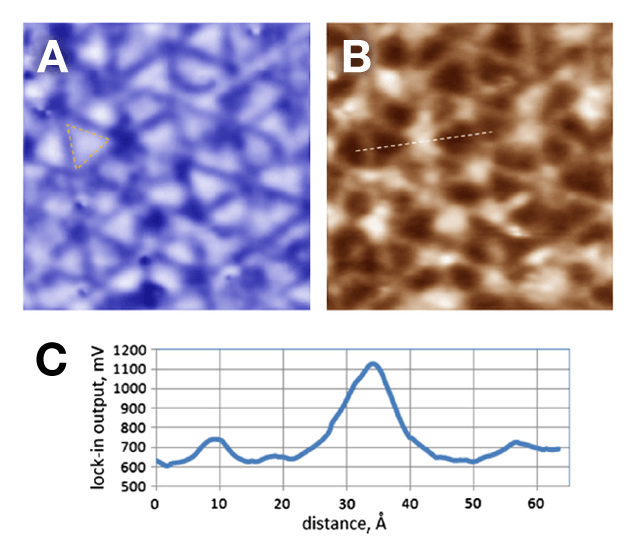 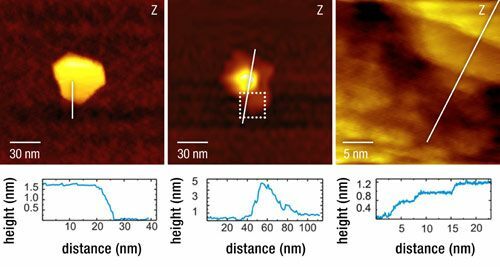 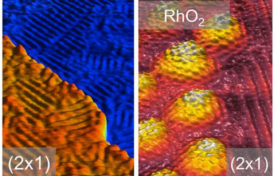 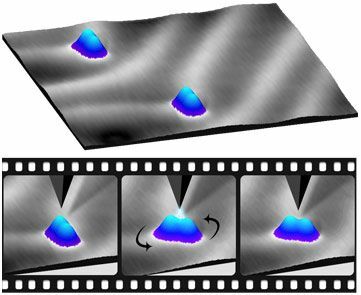 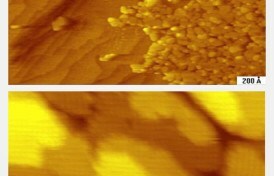 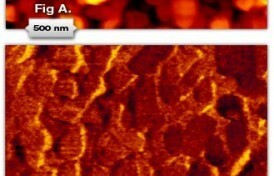 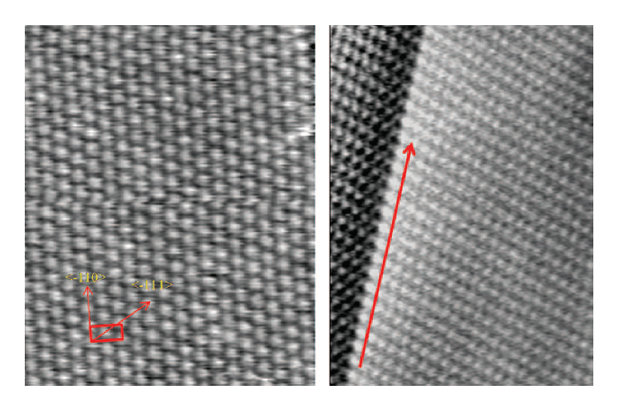 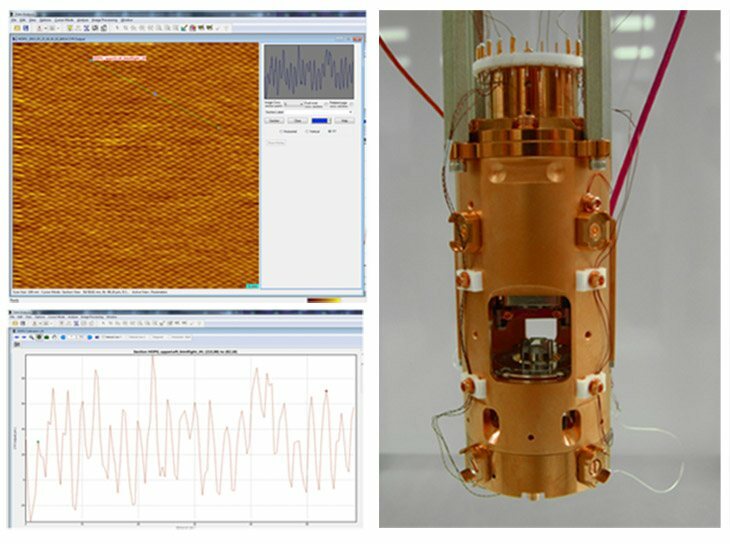 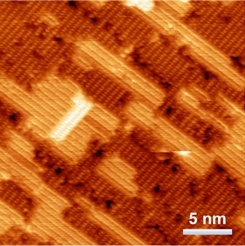 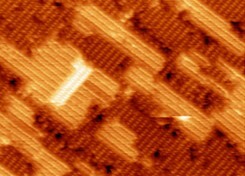 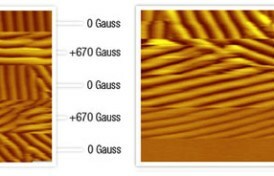 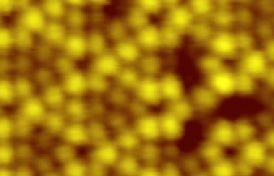 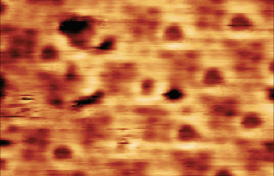 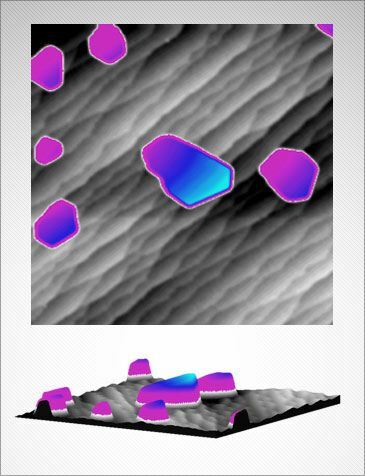 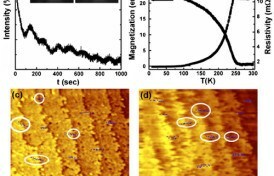 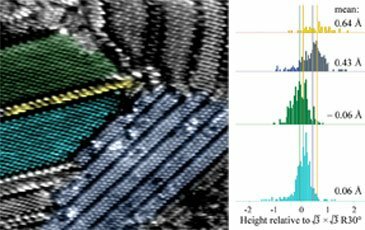 This image shows the nanowires as bright structures along with the unpolymerized molecules that appear as stripes in the background. 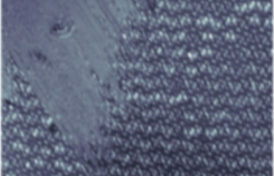 The diacetylene derivative molecules (10,12-pentacosadiynoic acid) were deposited using a Langmuir-Schaefer technique and transferred to the graphite substrate. 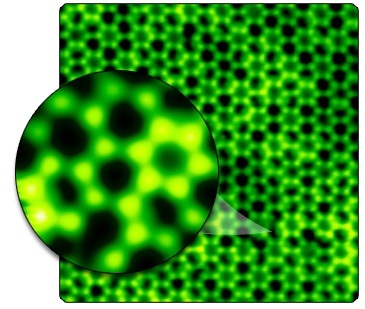 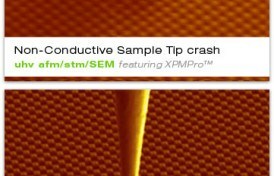 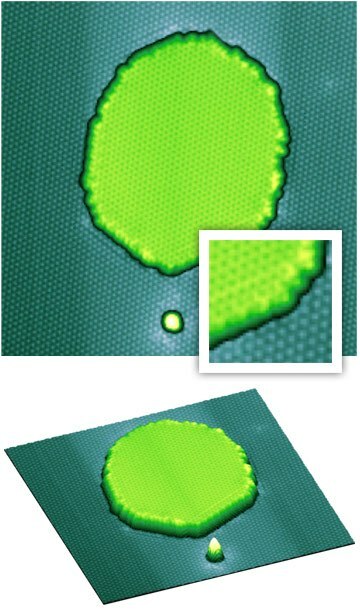 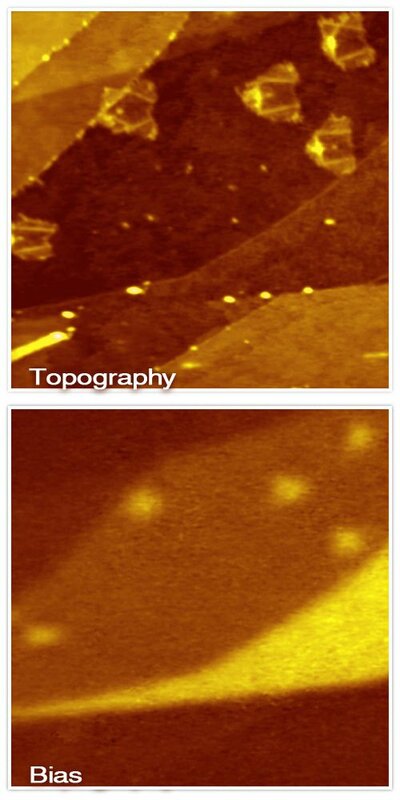 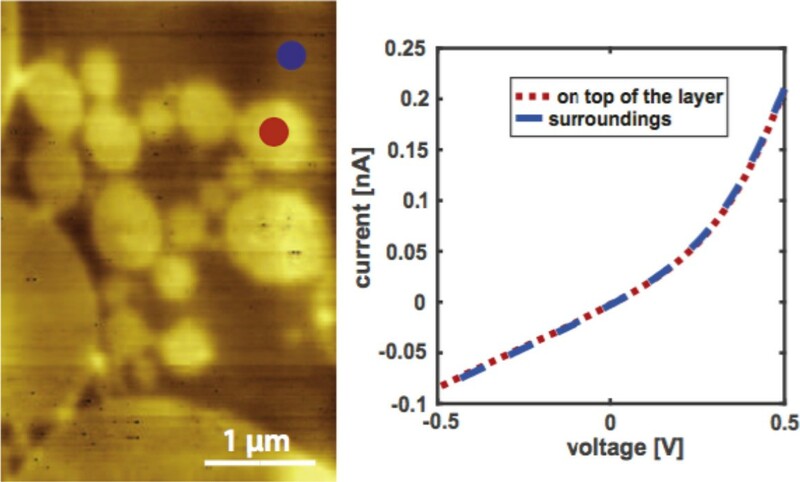 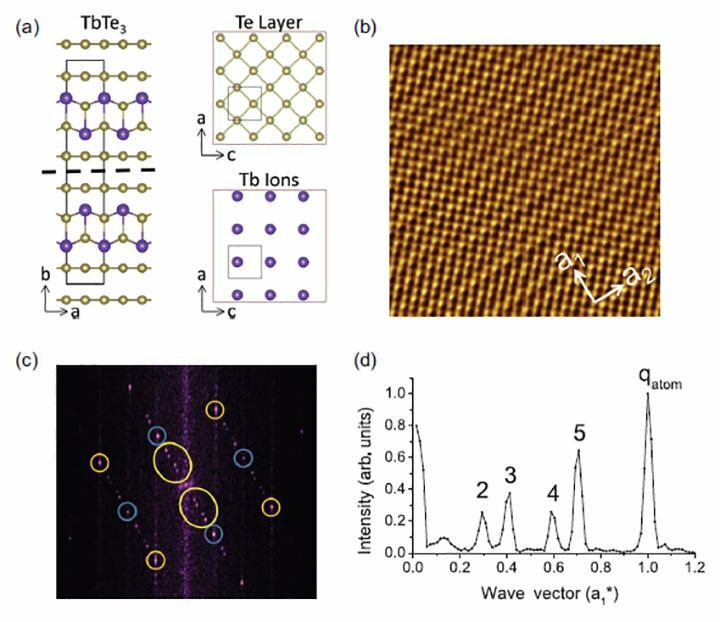 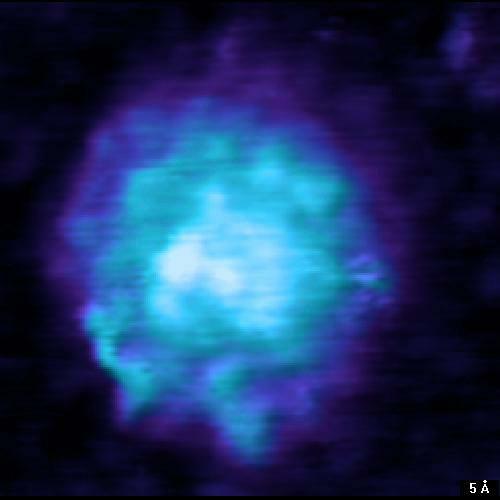 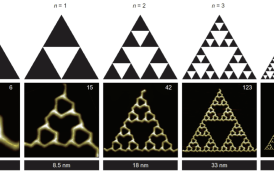 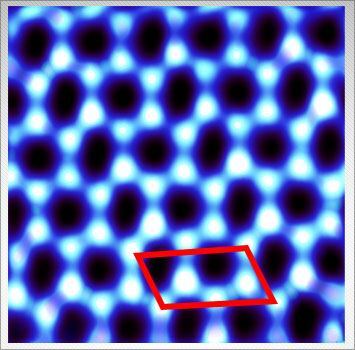 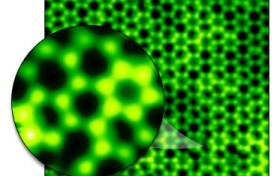 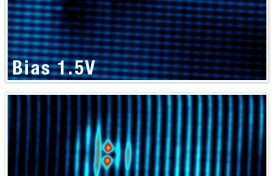 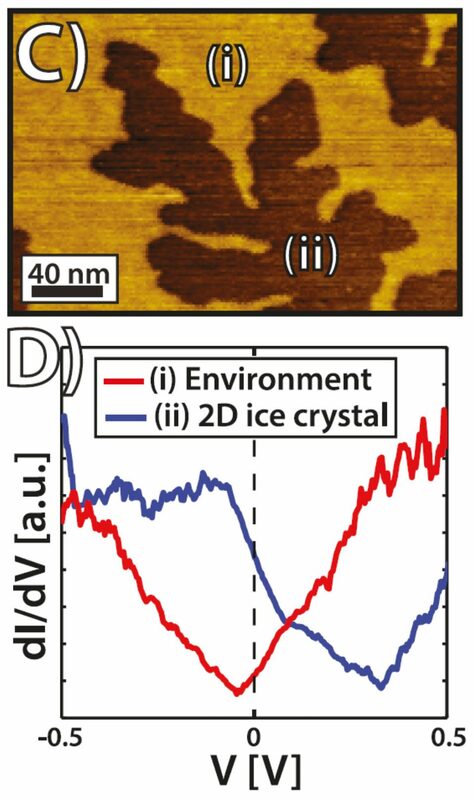 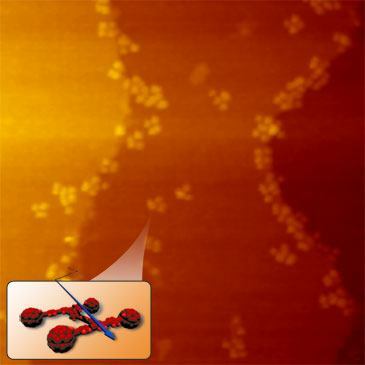 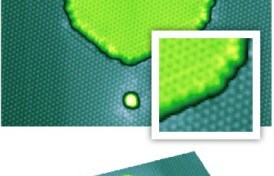 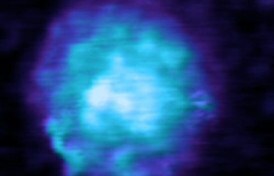 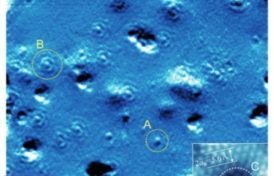 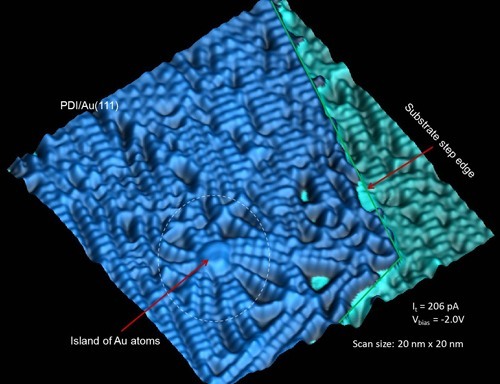 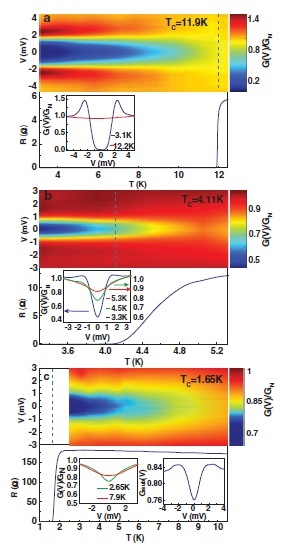 The monolayer was then polymerized by exposure to UV light (254 nm) to form polydiacetylene nanowires on the surface.